Single Dock is included in the price. Lake Bimini Beach just minutes from this waterfront lot. Lake Bimini is beautiful in all seasons. Now is the time to buy this prime Lake Bimini waterfront lot. Just to build now or build whenever. No time restrictions. 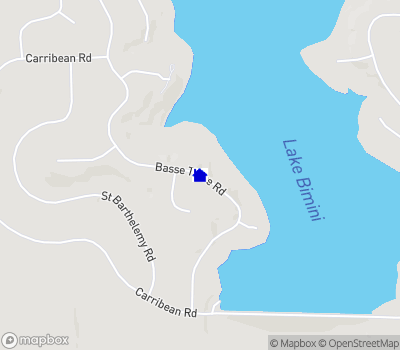 This Lake Bimini Waterfront Lot is located in the 9,000-acre gated community of Treasure Lake located just of the 101 exit of I-80 2 hours from Pittsburgh and 1 hr. 15 minutes from State College. 75 ft. x 250 ft.
PRICE REDUCED! Seller is motivated and will consider all reasonable offers. Prime waterfront lot on pristine Lake Bimini in the gated community of Treasure Lake. There are only a few waterfront lots left and this exceptional lot has a singe boat dock, not shared, already in place that is included in this price. This rare waterfront lot has community water and sewer (no need for well or a septic system, electric and natural gas are also available. Enjoy cable television or elect Direct or Dish TV. High Speed Internet service is available as well as curbside trash and recycling pickup. This large single waterfront lot will accommodate many home designs. There are no time restrictions for building and you can choose your own builder. I can introduce you to a quality builder and help you through the building process. Minimum square footage is only 1,000 sq. ft. and plans are approved by a Property Committee. You can choose an off-site or on-site stick-built home including log, timber or composite exteriors. Now is a great time to buy your lot and assure your dream of owning a waterfront home will be built on a prime waterfront lot in a great location in the 9,000-acre gated community of Treasure Lake. Treasure Lake is located just 2 hours from Pittsburgh and 1 hour 15 minutes from State College. Contact me for a free e-brochure of this exceptional waterfront lot on pristine Lake Bimini that's just perfect for your small pontoon boat, fishing, kayaking, sailing and canoeing. This prime waterfront lot is located just minutes from Lake Bimini Beach and the award-winning Gold Golf Course. Contact me today before your prime waterfront lot on Lake Bimini belongs to someone else.